British conductor Mikel Toms has worked with many orchestras and ensembles including the Royal Philharmonic Orchestra, London Chamber Orchestra, Hong Kong Philharmonic Orchestra, Oslo Sinfonietta, Ensemble Modern, Brno Philharmonic Orchestra, Janáček Philharmonic Orchestra, City of Prague Philharmonic Orchestra, New Prague Sinfonia, Kazakhstan State Symphony Orchestra, Uralsk Philharmonic Orchestra, Czech Film Orchestra and Elision (Australia’s national contemporary music ensemble). He has recorded over 30 CDs for labels including Sony BMG (the world premiere recording of Philip Glass’s Saxophone Concerto), Decca, Métier, Quartz and ABLAZE. As a broadcaster, he recently appeared in the three-part BBC FOUR television series Romance and Revolution – Musical Masters of the 19th Century. Mikel is closely associated with the Brno Philharmonic Orchestra in the Czech Republic with whom he has made over a hundred recordings of contemporary and classical repertoire. He has recorded over 80 new works for orchestra and has collaborated with major composers including Iannis Xenakis, James Dillon, Michael Finnissy, Karlheinz Stockhausen and Harrison Birtwistle. He has conducted for BBC Radio 3’s Hear and Now programme, broadcast on Italian, German, Spanish, American and Irish radio, and has appeared at festivals in London, Bath, Cheltenham, Huddersfield, Belfast, Darmstadt, Innsbruck, Sligo, Almaty, Valencia, Dortmund and Berlin. Mikel studied Music at Oxford University where he conducted a complete performance of Messiaen’s Des Canyons Aux Étoiles… at the age of 20. He also studied with Peter Eötvös as a member of the International Eötvös Institute Foundation and at the Darmstadt Internationales Ferienkurse für Neue Musik where he won the Stipendium Prize for performance. In 1996, he was selected to conduct the Ensemble Modern in a performance of Karlheinz Stockhausen’s Mixtur, in collaboration with the composer. Mikel is also well-known as a writer about classical music. 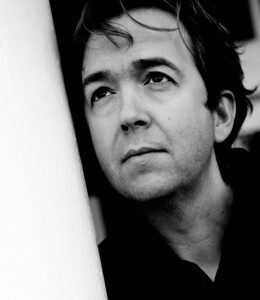 In addition to his well-known conducting blog, his writing has appeared in The Times, the BBC Music Magazine and other publications. He is a Fellow of the Royal Society for the Arts.